Dyson, one of the UK’s most successful technology companies, is known best for its innovative vacuum cleaners designed initially by frustrated vacuum user and founder, James Dyson. But, as you might expect, there are many household appliances that – much like James’ vacuum – could be made much smarter (and a little more fun). Dyson is currently investing £5m a week in research and development. 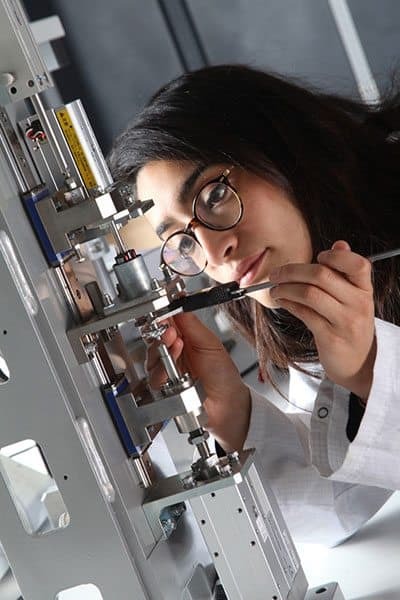 They have over 3,000 engineers and scientists working across a broad spectrum of disciplines, such as robotics, battery technology, complex sensor systems and connectivity at their main research centre in Malmesbury, Wiltshire. And, as of last month, a team of Dyson’s experts has landed in central Bristol to make use of the city’s well-connected tech community and launch the Dyson Software Hub focussed on future connected technology, developing mobile applications and cloud services and supporting their growing range of connected machines. Eager to know more about Dyson’s latest tech, some exciting developments in Malmesbury and what made them keen to set up in Bristol, we spoke to Matt Clarke, Dyson Software Hub’s Engineering Manager for connectivity, Internet of Things (IoT) and mobile. One of the software technologies developed by Dyson which has enabled the company to expand the reach of their smart home technologies is the Dyson Link app. The app links up with some of their most exciting new tech, such as Pure Cool Link Purifier (video above) and the 360 Eye Robotic vacuum cleaner (pictured right) enabling users to view and control the air quality in their house, as well as their cleaning schedules, from their smartphones. Matt tells us: “In the future, the way technology is controlled will be integral to how it performs. Dyson software engineers are already transforming the way our owners interact with their machines. 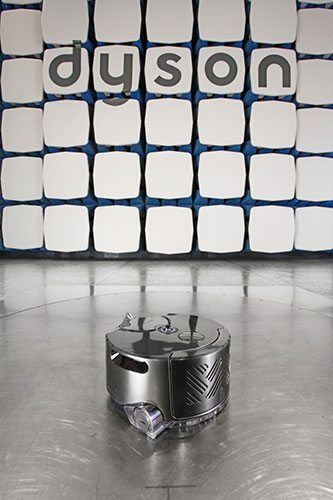 Our first connected robot vacuum launched in 2014 and the Dyson Link app takes cleaning into the digital era. “Scheduling cleans, reviewing mapping data and diagnosing technical issues – our new technology is advancing at speed. 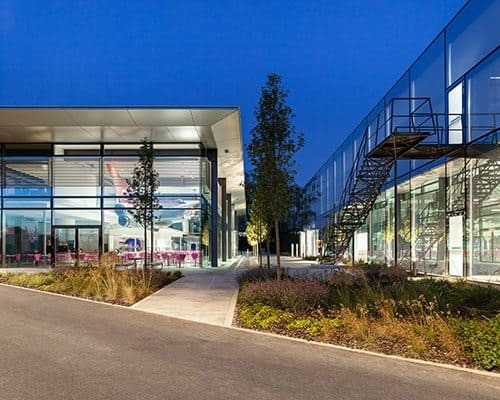 Earlier this year Dyson also opened a new £250m technology campus in Malmesbury. They now have 129 laboratories on site, giving their engineering team a collaborative space not only to design but also to test machines as they are developed. Matt tells us: “Some of the most exciting areas of development for us are batteries and high-speed electric motors. In 2015, we acquired Sakti3 a solid-state battery company based in the US. Sakti’s prototype solid-state battery cells has the potential to increase the density of today’s most advanced liquid lithium-ion batteries, while also being smaller, safer, more reliable and longer lasting. “When it comes to motors, this is an area we have been investing in for over 15 years. So far we have spent £350m in their research and development. And we now have the Dyson Digital Motor which sits at the heart of much of our technology today, providing high-powered, lightweight and efficient machines. In addition to investing in software development, Dyson also announced earlier this year its new Dyson Institute of Technology where they will teach engineering degrees alongside jobs at Dyson’s Research and Development Campus. Matt explains: “Through the Institute James Dyson will invest £15million over the next five years to tackle head-on the dearth of skilled engineers in the UK. “He plans to offer the brightest aspiring engineers a relevant alternative to a traditional university degree. The new degree will combine academic learning, initially delivered by WMG University of Warwick, with hands-on experience developing Dyson products and working alongside Dyson’s current engineering team of 3,000. And, for those already with experience, Dyson is currently recruiting for software engineers in Bristol and Malmesbury. Many thanks to Matt for taking the time to chat to us about Dyson’s latest developments. If you’re interested in hearing more about the latest developments, you can follow Dyson on Twitter here: @Dyson.